Do you feel like every time you play you feel different over the ball? 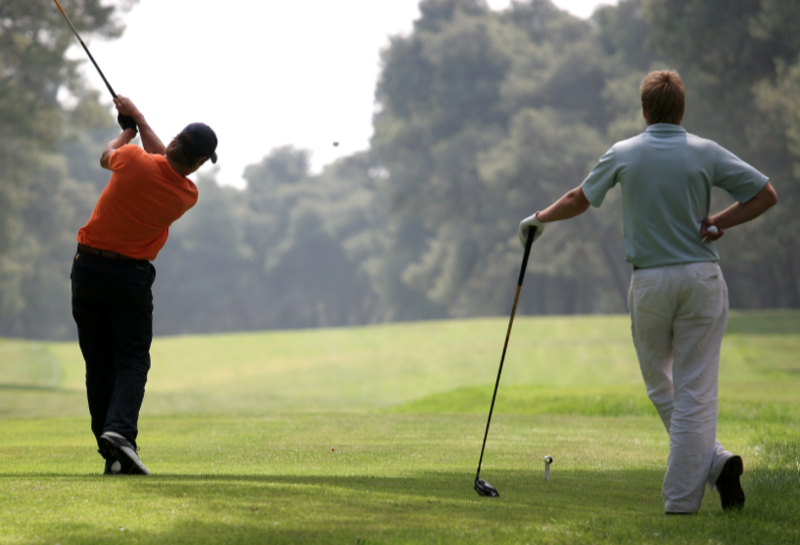 Here is a tip for you: On every golf shot, follow the three phase “Aim-Align-Execute” method to improve your consistency. Why it works: All golf shots have (at least) three phases once you have chosen your club: The Aiming, the Alignment, and the Execution, in that order. 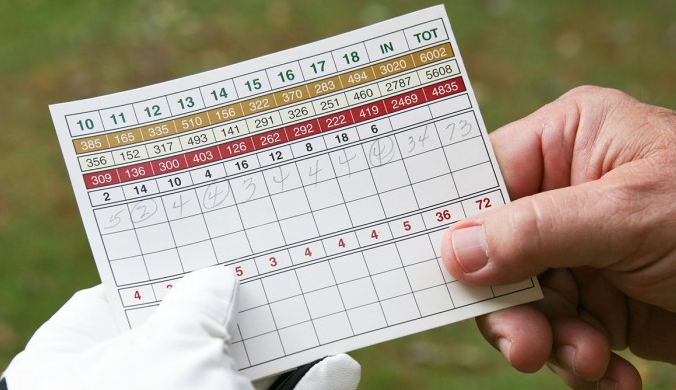 Most Occasional Golfers inter-mix, or ignore, or sometimes forget to do all three of the phases. This leads to inconsistency, which of course leads to high scores. 1 Pick a distant target, like a tree, or the middle of the green, or whatever makes sense for your particular shot and circumstances (the Aiming). 2 Pick a spot on your target line a few feet in front of your ball to align your club, and to build your stance around (the Alignment). 3 Execute the shot, with a starter move and a full release to a balanced finish (the Execution). A key element of the “Aim – Align – Execute” approach is that the steps are done sequentially. That is, you do not think about Aiming as you Align your clubface, and you do not think about Aiming or Alignment as you Execute your swing. You think only about what you are trying to accomplish in each phase. This focus is very powerful, because it allows you to do one thing at a time, and do it very well. This gives you confidence on the course. With confidence you can block out the distractions (sand trap, carry over water, strong crosswind, etc.) that you encounter. Indeed, every pro or low handicapper will go through some form of Aim-Align-Execute every time, for every shot. You should too, if you want to improve your consistency. Finally, a word of caution: When you watch golf on TV, often the only thing that (understandably) makes it on air is the swing itself. But every pro, I guarantee you, went through an Aim-Align-Execute routine before you saw them swing on your TV set. The networks just spare us the tedium of watching their Aim-Align-Execute routines.